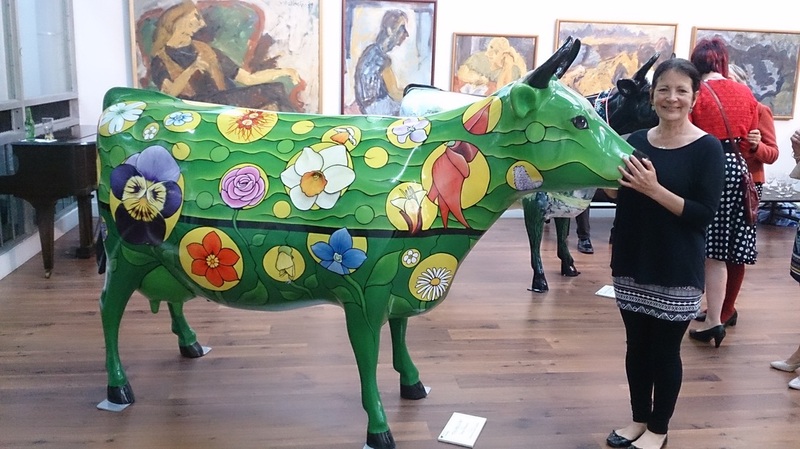 So far there are fifteen painted cows dotted all over Morrinsville. When I visited the Wallace Gallery there was one outside and I told the gallery curator, Justin Morgan, I thought it was brilliant and would have loved the opportunity to paint one. He told me another fifteen were on their way and I was welcome to apply. A few days later Justin called me with the wonderful news that he had shown Mary & John Gibson my flower greeting cards knowing that they wanted flowers on their cow and that they thought my style was perfect. 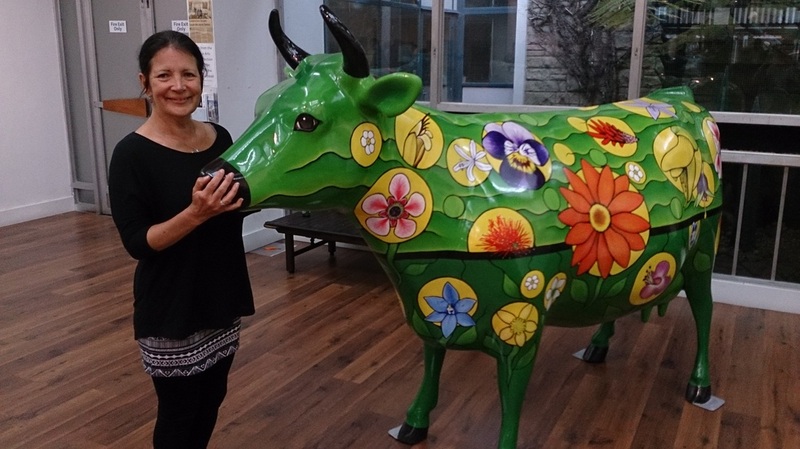 The cows were officially unveiled on the 19th November so here she is...introducing Tauhei Cow. She can be found in front of the Morrinsville Museum, 41 Canada Street.